A history of Waltham Station. 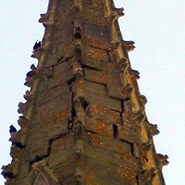 Repair of the church tower. I’ve also made a start on the war memorial page. If anyone has any information or photos of those who fell during the two world wars, please do get in touch.